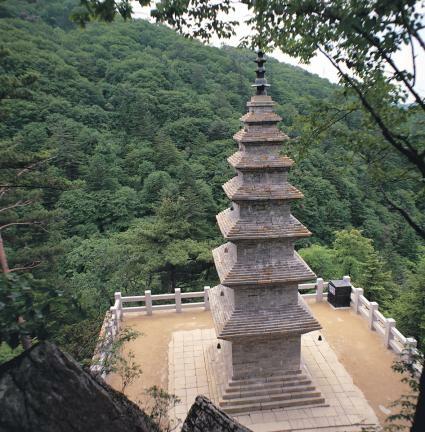 정암사 적멸보궁 뒤의 산비탈에 세워진 7층의 모전석탑이다. 모전석탑이란 전탑을 모방한 탑으로, 돌을 벽돌 모양으로 깎아 쌓아올린 탑을 말한다. 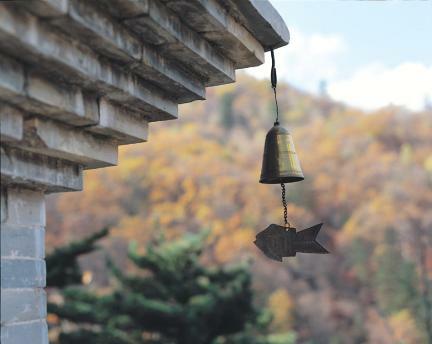 화강암으로 6단의 기단(基壇)을 쌓고 탑신부를 받치기 위해 2단의 받침을 두었다. 탑신(塔身)은 회녹색을 띤 석회암으로 쌓았는데, 표면을 정교하게 잘 정돈하여 벽돌을 사용한 것처럼 보인다. 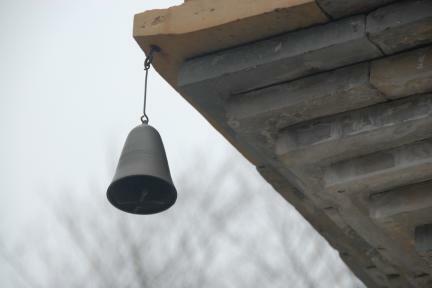 1층 몸돌의 남쪽면에는 감실(龕室:불상을 모시는 방)을 마련했으며, 1장의 돌을 세워 문을 만들고 그 가운데에는 철로 만든 문고리를 달았다. 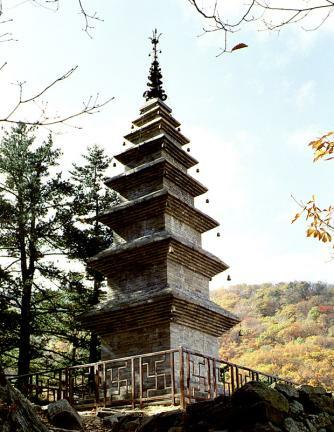 지붕돌은 추녀 너비가 짧고 추녀끝에서 살짝 들려있으며, 풍경이 달려 있다. 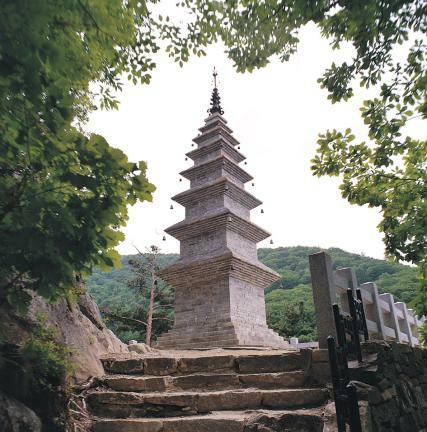 지붕돌 밑면의 받침수는 1층이 7단이고, 1단씩 줄어들어 7층은 1단이며, 지붕돌 윗면도 1층이 9단, 1단씩 줄어들어 7층은 3단으로 되어있다. 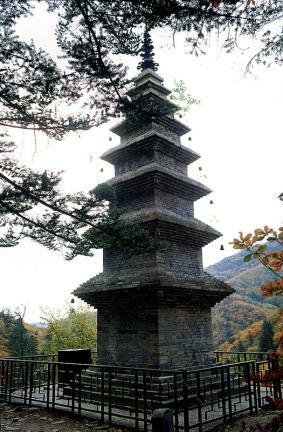 꼭대기의 머리장식으로는 청동으로 만든 장식을 올렸다. 돌벽돌의 일반적인 크기로 보아 그리 거대한 편은 아니지만 형태가 세련되고 수법 또한 정교한 탑이다. 탑 앞에 돌이 하나 있는데, 여기에 새겨진 연꽃무늬, 안상(眼象) 등은 모두 고려시대의 특징을 나타내고 있다. 이 석탑은 파손이 심해서 1972년 해체·복원되었는데, 이 과정에서 탑을 세운 이유를 담은 탑지석(塔誌石) 5개와 금·은·동으로 만들어진 사리구가 발견되어 조선 후기에 이르기까지 여러 차례 보수되었음을 알 수 있다. 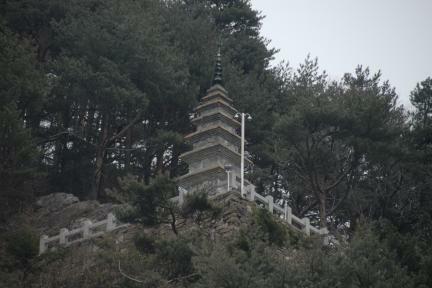 현재의 모습이 언제부터 전해진 것인지에 관해서는 여러 설이 있어서 확실하지 않지만, 정암사에 있는 여러 유물과 비교해 볼 때 고려시대에 처음 만들어졌을 것으로 짐작해 볼 수 있다. 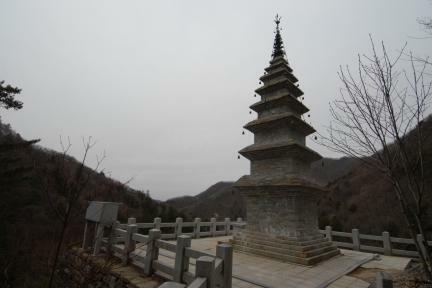 The seven-story stone brick Sumanotap Pagoda is erected on the slope of a mountain behind Jeongmyeolbogung Hall of Jeongamsa Temple. 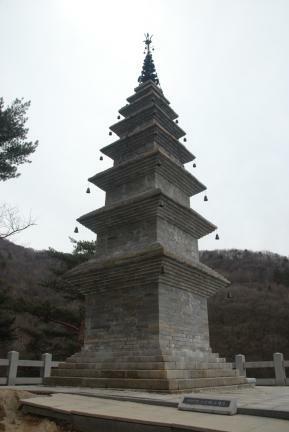 In general, stone brick pagodas were built with stones cut and trimmed into bricks. 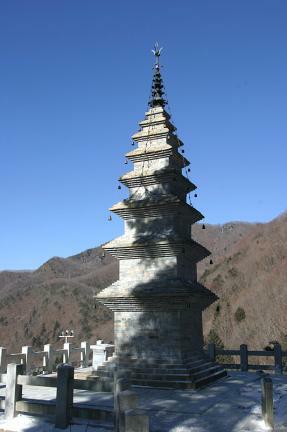 The pagoda consists of a six-layered stylobate made of granite, a seven-story main body placed on two-tiered supporting stones, and a finial. 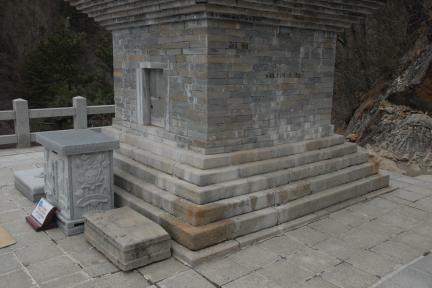 The main body is made of grey-green limestone that resembles bricks due to its well-arranged surface. 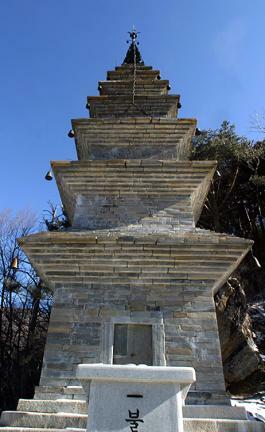 The niche for enshrining the Buddha statue is situated in the southern side of the core stone of the first story, and has a stone door made of one piece of stone to which an iron-ring door handle is attached. 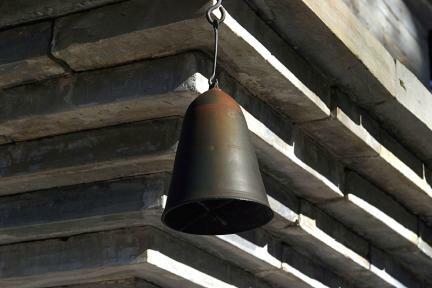 The roof stone with narrow eaves turns up swiftly at the ends of the eaves, under which wind chimes hang. 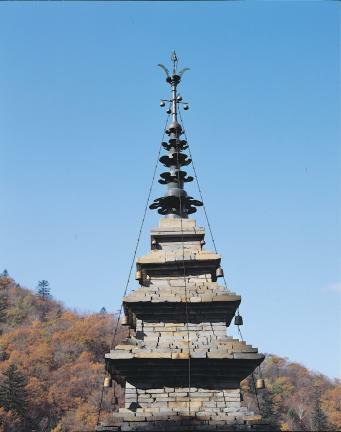 The roof stone of the first story has a seven-tiered cornice, and from the second floor, the number of cornices decreases with each story. 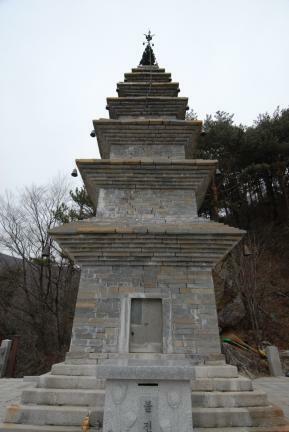 Also, the number of tiers of the upper surface of the roof stones decreases by one as the cornices started from nine tiers for the first story to three tiers for the seventh story. 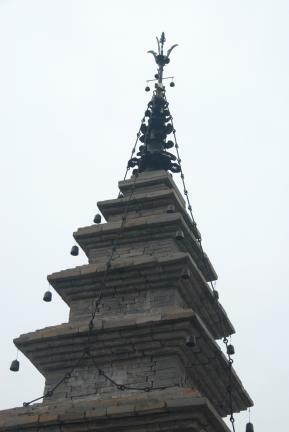 As for the finial, a bronze ornament sits on top of the pagoda. 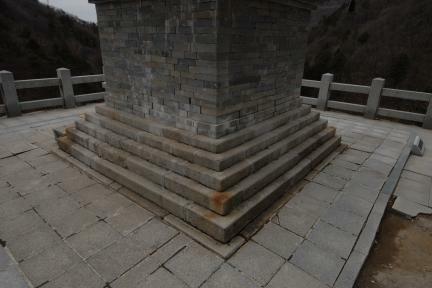 The stone bricks are not large but display a refined and sophisticated style. 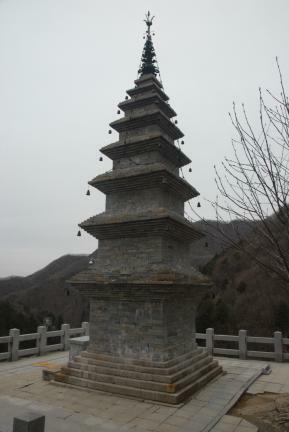 A stone placed in front of the pagoda is engraved with a lotus flower design and symbolic images of elephant eyes, a characteristic feature of art during the Goryeo Dynasty. 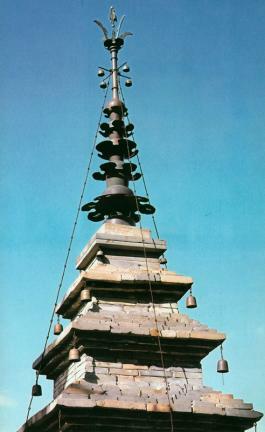 During the dismantling and restoration of the Sumanotap Pagoda in 1972, five stone plates containing a record about the construction of the pagoda and sarira reliquary made of gold, silver, and bronze were discovered, revealing that the pagoda underwent a series of repair works up until the late Joseon Dynasty. 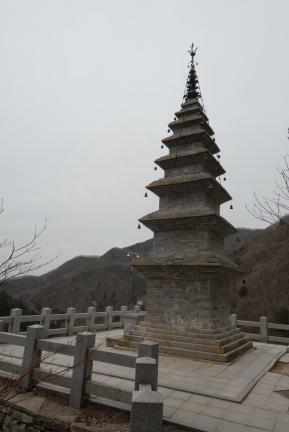 Although it is not certain when the pagoda acquired its present appearance, it is thought to have been erected during the Goryeo Dynasty, judging from the many relics remaining at Jeongamsa Temple.